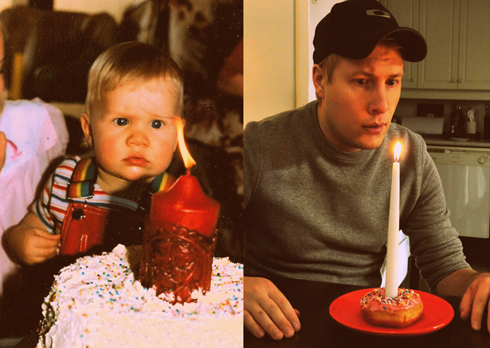 To kick off the final year of my twenties I celebrated with sprinkles and an over-sized candle. 1985 meet 2013. I know it's difficult to tell, but the picture on the right is the current one. Look at that concern. After this successful birthday reenactment it might be time to update a few other classic shots from the family photo album.